A pleasant and subtle variation of our sandalwood incense. One our newer and popular fragrances . Please note that we are out of stock of the 25 grams size as of 12-20-2014. A pleasant and subtle variation of our sandalwood incense. Samples available on request with an incense order. (It isn't easy to describe the smell of incense). 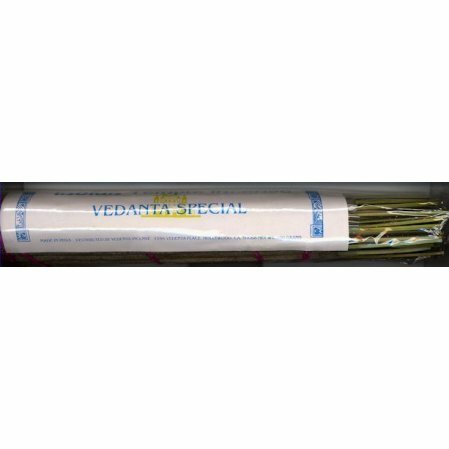 Available in 25 grams and 100 grams size, stick incense. Please note that we may have to send the incense separately from any books ordered. According to postal regulations, incense cannot be sent at media rate. If we can, we'll ship the incense with your book order, and charge the first class mail charge for the incense. Otherwise, the incense will be send separately by first class mail or priority mail. In this case,you will pay more than the estimated shipping charge. To me this is not a good quality product. Purchased this incense at the San Francisco Temple a few years back. Loved it! Ordered more and the scent was just as wonderful. Consistent quality and an aroma that lifts the spirit while meditating or just going about my daily chores. Highly recommended.